Provided is an update to the Summary of Important Information and Significant Event Notice issued to members by Diversa Trustees Limited (The Trustee), as Trustee of the Smartsave Member’s Choice Superannuation Master Plan (Smartsave or Fund), dated 29 January 2019. The Trustee advises of a change to the transition date outlined in the communication issued to members. Please note, the transition of the investment options and underlying investments has been delayed and will now commence Monday 18 March 2019, with an expected completion date of no later than Friday 29 March 2019. All other details issued in the communication dated 29 January 2019 remain un-changed. However, should the Trustee become aware of any further changes, updates to members will be issued. If you have any queries in relation to your Smartsave account, please call 1300 654 720. Adviser News: How can you support your clients with Best Doctors? Did you know that eligible MLC Life Insurance customers could get even more value from their insurance with access to the Best Doctors service? Best Doctors connects your clients and their immediate family, including their children, parents, partners and partner’s parents, with a network of more than 50,000 leading medical specialists from Australia, and around the world, for a second medical opinion to help ensure they have confidence in their diagnosis and treatment plan. MLC Life Insurance is the only Australian life insurer to offer your clients and their family access to this service for no additional cost, without having to make a claim on their policy. What is Mental Health Navigator by Best Doctors? One in five Australians aged 16-85 experience a mental health condition each year**. With these conditions affecting so many people, it is likely you have a client or one of their family members affected. We’ve now expanded the Best Doctors offer to include Mental Health Navigator – a discreet, quick and confidential way for your clients or their family* members to seek help if they are experiencing a mental health condition. Mental Health Navigator empowers and supports your clients with a clinical review of their diagnosis and treatment plan, sourcing a specialist from a network of leading Australian clinical psychologists and psychiatrists, all from the comfort of their home. As always, if you have any questions or wish to know any additional information, call our adviser services team on 1300 654 720. Member News: Have you heard about Best Doctors? 1 July Super Changes are fast approaching, and for some members this means making some changes to investments they hold in account based pensions and Transition to Retirement Pensions. To help our members, a factsheet is available on the Pre 30 June and 1 July super changes, and can be found on the Forms and Publications page, under Factsheets. The following provides options available for clients and close off timings for processing instructions to the Fund for any withdrawals or rollovers. To ensure that withdrawal, transfer and roll-over requests are processed before 1 July 2017, requests must be submitted for processing no later than close of business Tuesday 27th June 2017. While OneVue Superannuation Services will make every effort to process a request received after this time, we cannot guarantee that it will be processed before 1 July 2017. Under current super law, OneVue Superannuation Services is obligated to continue treating the income stream received by the member as a transition to retirement pension even if the member has attained the age of 65 or met a condition of release. However, while an amendment has been proposed by the government, the Treasury Laws Amendment (2017 Measures No. 2) Bill 2017, continues to be in Parliament, and options available post 1 July 2017 will depend on whether the bill receives Royal assent on or before June 30 2017. Should the bill be passed, a member with a transition to retirement pension who at 30 June 2017 is aged 65 or older can be automatically changed to an account based pension where proof of age is provided. Continue your TTRs without change. even if you have met a condition of release such as when you permanently retire or attain the age of 65.Your TTRs can continue on until either it ceases or you request the Fund to commute the pension to your super accumulation account.As your TTRs is in the super accumulation phase, it will not be counted towards your pension transfer balance cap of $1.6 million. Request a withdrawal of Super monies if you have met a condition of release, such as retiring after preservation age, or turning age 65. If you are concerned about the legislative risk and the timing, and your client has met a condition of release, you can arrange for the commutation of the TTRs and commence a new non-taxed account based pension. If you wish to organise this before 30 June 2017, to ensure that the requests can be processed in time, the request to commute and commence an account based pension must be submitted for processing no later than close of business Friday 23rd June 2017. To ensure that withdrawal, transfer and roll-over requests are processed before 1 July 2017, requests must be submitted for processing no later than close of business Friday 23rd June 2017. Are no longer considered as a retirement-phase superannuation income stream. The income and capital gains from assets supporting the pension will no longer be exempt from income tax. TTRs will be required to have investment assets automatically redeemed from non-taxed pension investment pools to automatically re-invested into the taxed investment pools of the accumulation phase. – Investments will be mapped as closely as possible to retain the same investment characteristics of the Investment option as previously held. – I.e. if the member holds 100% in the Balanced investment option in the Pension phase, the amount will be reinvested 100% into the Balanced investment option in the Accumulation phase, retaining the same investment characteristics as previously held. The transactions will be reflected in the Members 2017 annual member statement. Helping out members – moving to digital! Managing money, finances and super in our fast paced world needs dedicated time, and often does not happen during work hours. Many of us these days want to access information electronically or on the internet using phones, tablets or computers. To help you access your super information how and when you want it, Smartsave Super is moving to digital communications from 1 January 2017. If you already have a log on, no change. 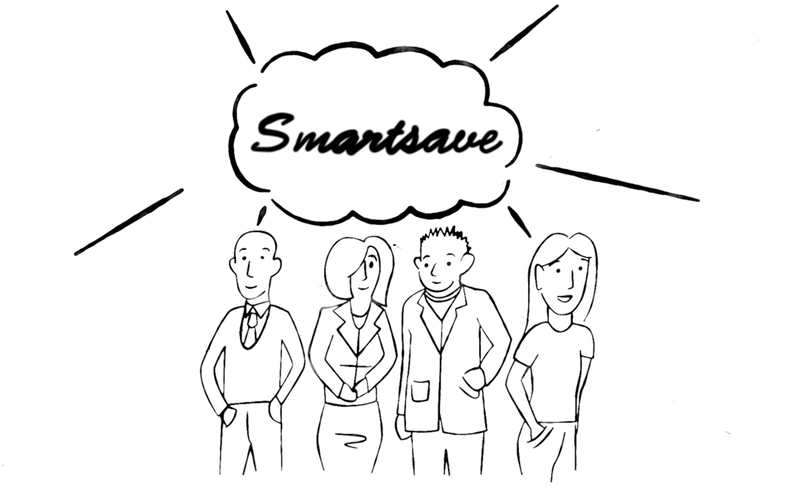 Other news and updates will regularly be loaded onto the Smartsave Super website. Where your email address or mobile phone number is not available, communications will continue to be mailed to you. If digital is not for you. You can opt out of digital communications at any time by contacting Smartsave Super by phone, email or letter. Find out how to win one of three $200 Coles Myer gift cards! Update your email or mobile phone number for your chance to win! • fill in and send back the coupon in your 2016 Member newsletter. * Coles Group Limited & Myer Pty Ltd are not involved in this promotion. View the competition page including terms and conditions here. From 18 October 2016, the insurance cover limits for completing the Smartsave Short Form Personal Health Statement have been increased. Death only or death and total and permanent disablement (TPD) cover of $1,000,000 or less (increased from $800,000). The Smartsave Product Disclosure Statement, Insurance Guide and forms will be updated shortly to reflect these changes. If you have any questions, please contact your adviser or the Smartsave Member Services team on 1300 654 720.